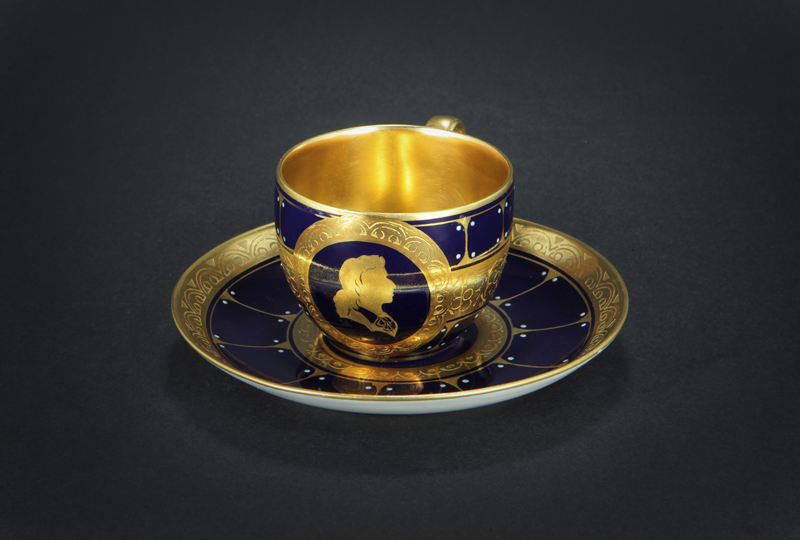 Tirschenreuth Bavaria Cobalt Blue and 24 KT Gold Portrait Silhouette Demitasse Tea Cup and Saucer. Tirschenreuth is the capital city of the district of Tirschenreuth. It is located in the northeast of Bavaria, very close to the Czech-Bavarian border. Tirschenreuth was famous for fine quality porcelain and vintage pieces are highly sought after by collectors.